This is our city and ending hunger here takes us all. Did you know we need 800 volunteers every week at Food Bank For New York City? Volunteers are vital to the work Food Bank does throughout the five boroughs. Whether it is repacking food for our network, serving breakfast to seniors, or helping prepare meals for the community, you can make a difference many ways. Organizing a Group Volunteer Opportunity? Volunteering builds team spirit, fosters a community of giving and ensures Food Bank For New York City can have maximum impact distributing food, serving meals and ending hunger. Download our 2017 Volunteer Engagement Guide to pass along to your colleagues or friends. 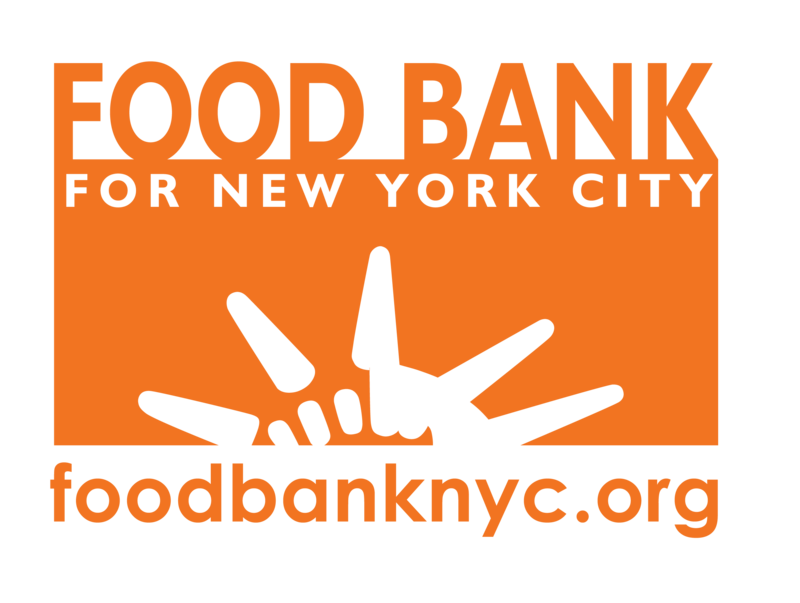 If you have general questions, please email volunteer@foodbanknyc.org. Interested in our Committed Volunteer Program? Need a Customized Volunteer Experience for your Group? Organizations can partner with Food Bank's Volunteer Engagement team to describe their ideal volunteer experience and Food Bank will design and deliver a custom opportunity to a corporate headquarters, a place of workship, or a location of your choice. The program is suitable for large or small groups, for family-friendly events or corporate team-building retreats. Ask about our signature program FoodBank2Go! NOTE: Customized projects include a sponsorship fee. To learn more email jpresedo@foodbanknyc.org. If you have no/limited budget, please contact volunteer@foodbanknyc.org or visit our calendar of opportunities.